John is a vastly experienced Lawyer in Criminal defence and Family law. He specialises in Criminal defence work, covering the full range of criminal and traffic offences. John graduated Canterbury University with an Honours degree in Law in 1987. That same year, he became a Lawyer in Christchurch and carried out a vast amount of Criminal and Family law work with a high degree of success. He was also a tutor in Criminal law at Canterbury University for 5 years. John moved to Nelson in 1992 and soon joined a leading local law firm as a partner. He left partnership in late 2010 to practice as a barrister and is a founding member of Resolution Chambers. 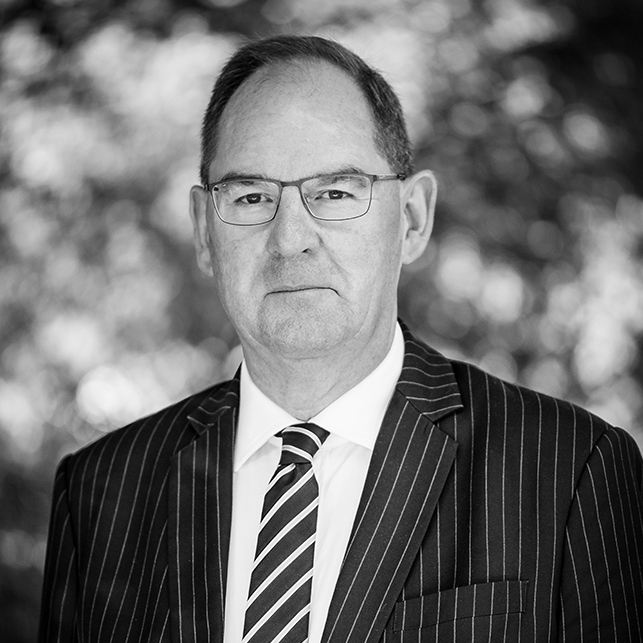 As in Christchurch, John has carried out a vast amount of Criminal and Family law, again with a high degree of success. He has been lead defence Counsel in numerous murder, serious sexual, and serious drug matters. John has a well-earned reputation for preparing well, listening carefully to his clients, and fighting hard for them in Court, and he is regarded as one of Nelson’s leading Criminal law specialists. John is also regarded nationwide as an expert in Youth Court matters. He has been the convenor of an NZ Law Society two day workshop to train Youth Advocates. John was appointed by the NZ Law Society to make submissions on its behalf to the Law Commission when it reviewed the law of evidence. Outside of work, John enjoys spending time with his adult family, travelling, tramping and rugby.